In Plagne Bellecôte (1930m), in the heart of the Paradiski area (Les Arcs and La Plagne), 100m from the bottom of the track, come and enjoy a 35m² accommodation equipped for 6 people located on the 2nd floor with elevator completely renovated in 2016 . You have a living room with kitchen (oven, hood, microwave, coffee maker, toaster, dishwasher ...) and tv. For your tranquility, the accommodation has a single room with a bed 2 places. Two sofa beds (2x2 seats) are in the living room. In the bathroom you will find a bathtub to relax. Washing machine and drying rack available in the bathroom. Many storage for your business: closet in the bedroom, bathroom and hallway. On the balcony you can enjoy the electric barbecue. Several free parking spaces can be found in the following station. A ski locker on the ground floor will prevent you from reassembling your belongings in the apartment. Possibility to rent two units of this type side by side. Near ; restaurants, ski rental, ESF, supermarket, pharmacy, swimming pool ... I can leave you some good addresses including restaurants and outputs. Appartement conforme à la description, fonctionnel et situé aux pieds des pistes. 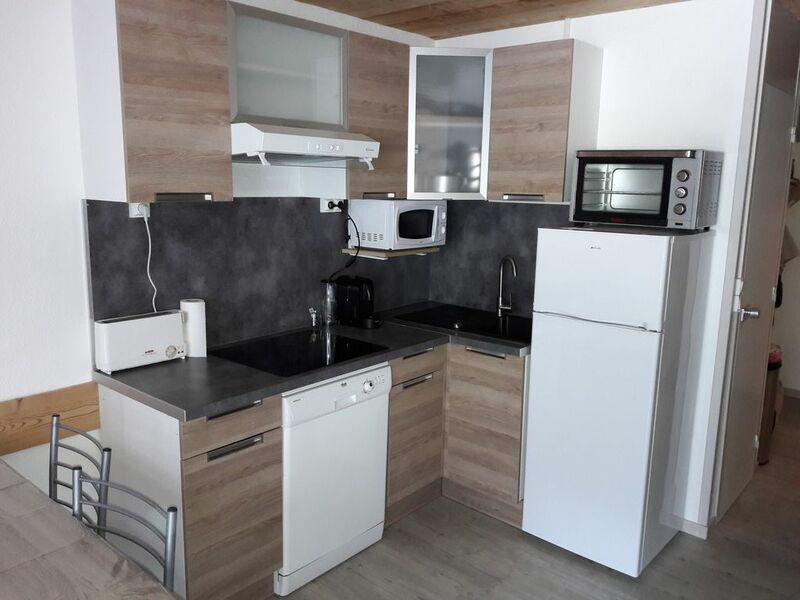 Appartement propre, très bien équipé et très bien agencé. Nous avons passé un séjour merveilleux. Nous vous remercions pour votre appréciation . En espérant vous revoir prochainement.